The Federal Government has said that it would partner the United States on fair labour practices to boost international trade relations in the Nigeria. Minister of Labour and Employment, Sen. Chris Ngige, stated this when he received the Political Officer in the U.S. Embassy, Mr Marlin Hardinger, in Abuja. This was contained in a statement by Mr Samuel Olowookere, Deputy Director, Press, Ministry of Labour and Employment, on Saturday in Abuja. 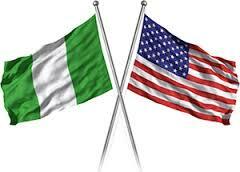 Ngige said that the decision by the U.S. to tie her trade relations with Nigeria to fair labour practices was a big boost to the country’s international trade. “We appreciate the American government for taking this step. It is pleasing to note that you are synergising with the International Labour Organisation to make this workable. “This is really a big boost to trade not only in Nigeria, but in the entire continent of Africa. “I have often thought of the workability of trade without productivity and its implication for a developing country like ours. The decision of your government to tie the two is re-awakening and important to us. “Though trade relations between our two countries have receded following the decision of your country to stop the import of crude from Nigeria, we have a vast agricultural product base which can find ready market in the U.S.
“It is distressing, however, that even trade in this area is equally on downward swing,” he said. He said that the primary focus of the Federal Government currently was to give quality life, including gainful employment and infrastructural development, to the people. “What we are looking for is a Nigeria that is prosperous and stable enough to remain a rallying point in the comity of nations and not necessarily a supper power. “We will partner you in this effort,” Ngige said. The statement said that earlier, Hardinger had said that the purpose of his visit was to encourage, correct and adjust trade efforts across Africa and the U.S. He said that the process officially began in 2000 and was renewed in 2015, adding that promoting trade and economic growth was integral to proper running of an economy. Hardinger said that the objective would be given more momentum at the 2016 Labour Roundtable Conference slated for September in the U.S.
“This is being done to promote the United States policy under her Africa Growth Opportunity Act [AGOA],” he said. Also speaking, according to the statement, was ILO Country Director for Nigeria, Mr Dennis Zulu, who said that the proposed September meeting would enrich participating countries on labour laws. Zulu said that the discussions on trade goals and labour would be beneficial to member-states. He added that the constraints, which member-states faced in accessing the U.S. market, would also be discussed. Dr Clement Illoh, Permanent Secretary, Ministry of Labour and Employment, said that the theme for the workshop would be centred on relationship between labour, trade and investment, with reference to occupational safety and health. He said that Nigeria had ratified the eight-core convention in the World of Work. “This is especially on issues like social labelling, child labour, hazard at work, employments, skill development and certification as to their relationship with trade and investment,” he said.